An excellent standard of tiling, clean and tidy, very efficient and professional. 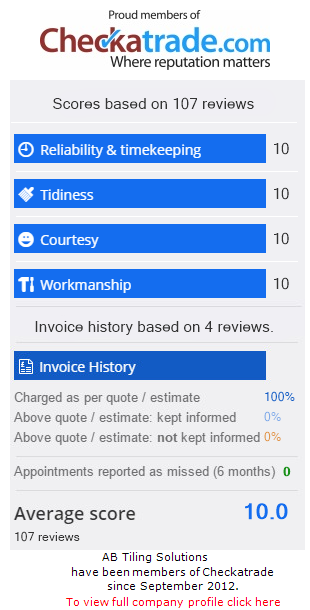 From the day Aron arrived to quote for my bathroom tiling to the last days work being completed he was friendly, knowledgeable and also seemed to take pride ensuring my home was left clean and tidy after each visit. I would have no hesitation in recommending AB Tiling Solutions.